Usually one monster can be a bit problematic for a group of superheroes to handle. Now all of Marvel's monsters (big and small) are banding together to squish Earth's champions, right when they're stuck in the middle of Civil War II. Nothing heals the wounds of a superhero schism quite like a monster attack, right? First mentioned earlier this month, Marvel has finally revealed (through Entertainment Weekly) some details on its new crossover event series from Cullen Bunn, with art by Steve McNiven, Leinil Yu, Adam Kubert, Greg Land and Salvador Larroca. 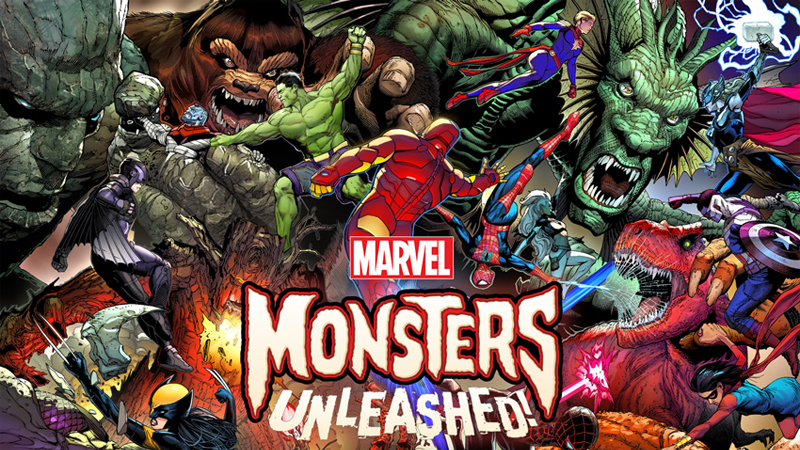 Inspired by the old classic monsters comics of the same name Marvel that published during the '70s, the event will see a multitude of Marvel's monsters — and that's whether they're "good" monsters like Groot or Devil Dinosaur, or villainous ones like Fin Fang Foom — teaming up to conquer the Earth. And despite the fact that Marvel's heroes are currently more divided than they have ever been, they're going to have to put aside their differences to keep from being turned into Avengers-shaped pancakes. It's meant to hearken back to Marvel's classic days of monster stories, but honestly, it sounds kind of nice to have a crossover event that's about superheroes coming together against a common foe instead of fighting each other. A pleasant change of pace, to say the least. Are...are we really getting a Cross-over event in the middle of a Cross-over event? Isn't DC about to start their rebirth crossover "monster men".